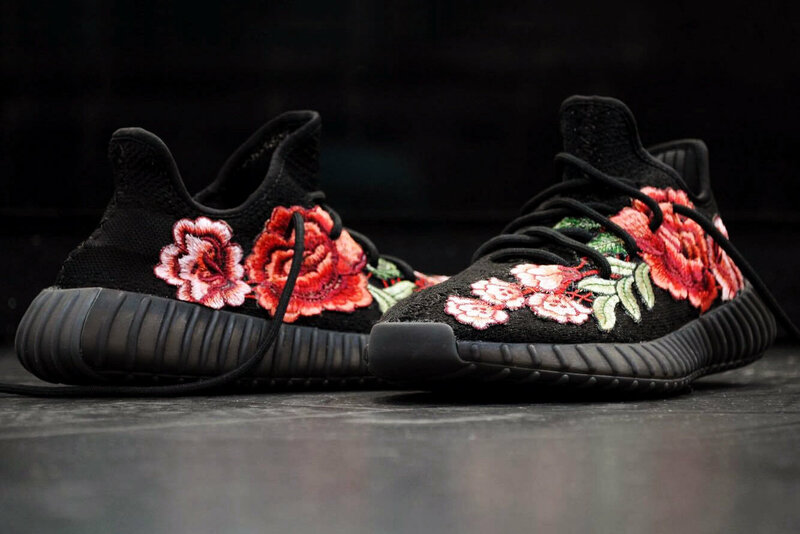 We recently featured a pair of sneakers made by FRE Customs. They were perfect for those who love Gucci and love a good Nike sneaker. The product was the Gucci Ace white Nike Air Force 1 Mid. Now, it’s Yeezy time. FRE Customs took Nike’s classic silhouette Air Force 1 Mid and added a delicate embroidery floral finish that reminded us of Gucci. Now, FRE Customs came up with an even greater design. 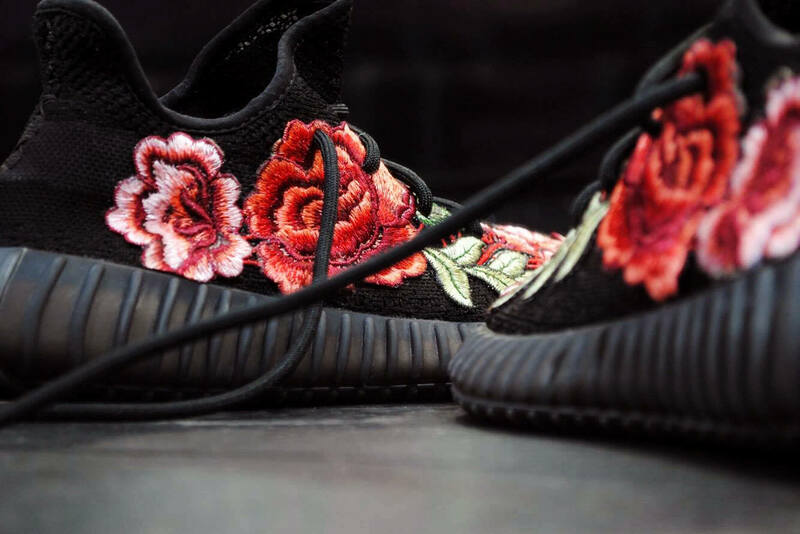 After releasing the Gucci Ace-inspired Nike Air Force 1 Mid with floral embroidery, FRE Customs unveiled a similar YEEZY BOOST 350 V2 custom. On the custom, the usually bright 350 stripe is in dark gray and a vibrant floral embroidery is found on the side panel. Just like in the Nike version, the floral embroidered pattern resembles elements that Gucci uses in their shoes. It is definitely reminiscent of what Gucci is currently doing now with its sneaker designs. This version is very exclusive, but this time to only 10 pairs. 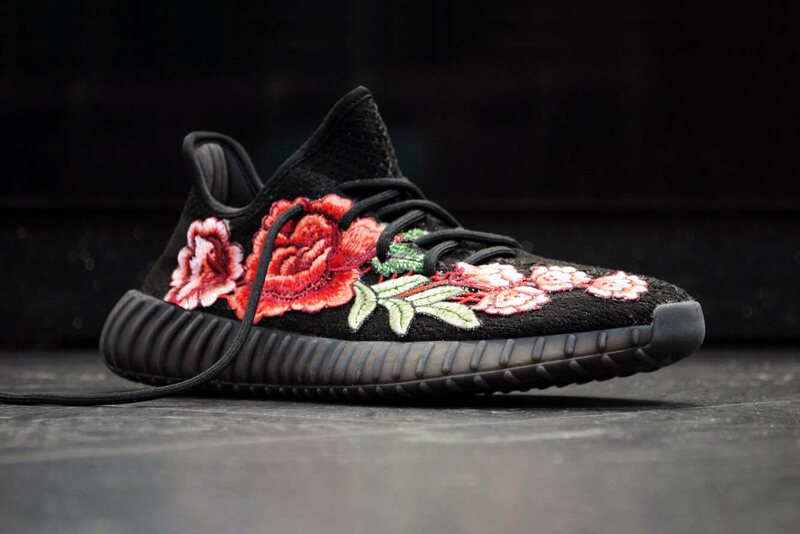 These FRE Customs Gucci Ace-inspired “Flowerbomb” YEEZY BOOST 350 V2 custom launches January 20 at freoficial.com.